By our estimation, there are over 1 billion people in the world who cannot read the Bible in their heart language. These are the men, women, and children who need the spoken Word. If they cannot read, how will they have access to the Gospel? 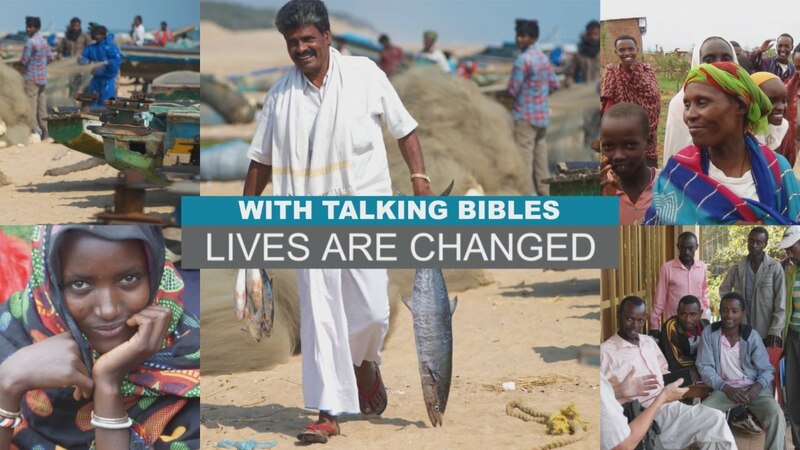 Watch this video to see how a Talking Bible can change the life of a non-reader. K-WAVE LISTENERS - CLICK HERE! This Winter/Spring 2019 edition features the story of Raju, a non-reader from Andhra Pradesh. God changed his life after he received a Talking Bible. Read accounts of non-readers growing in their faith by listening to a Talking Bible. The opportunity to place Talking Bibles is huge. Your support helps equip a new believer or group with a Talking Bible in their language and train them to share God’s Word, so they can reach friends and family with the Good News about Jesus. God calls all believers to go out and preach the Gospel and make new disciples, to become a fisher of souls. This can be a daunting task for any Christian. Imagine then if you could not read. How could you disciple another person without God’s Word? Our vision is to help people EVERYWHERE to become fishers of souls. Providing them with God’s Word in the form of a Talking Bible can help give them the knowledge and skills necessary to share the Gospel with their friends and family. The spoken word makes possible a new type of evangelist: a non-reading evangelist. You can help take the Gospel to the last remaining unreached people by training and equipping Scripture-hungry non-readers with Talking Bibles.